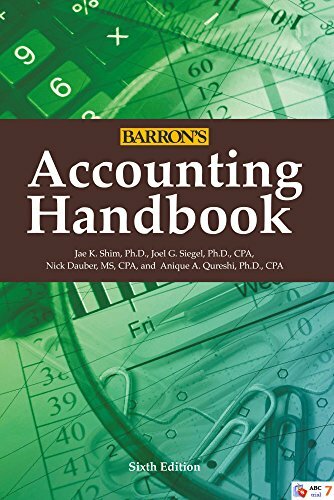 The newly updated edition of this authoritative reference volume deserves a place in the library of every accountant, bookkeeper, accounting manager, CPA, CFO, controller, business manager, and business student. An opening overview of financial accounting describes financial statements and presents details on financial reporting requirements and compliance, and U.S. GAAP (Generally Accepted Accounting Principles) and IFRS (International Financial Reporting Standards). Chapters that follow cover cost management, as well as taxation forms and their preparation. An extensive A-to-Z dictionary of accounting terms presents short-entry definitions of everything from Abacus to Z Score.